Wright was released by the Cardinals on Saturday, Darren Urban of the Cardinals' official site reports. Analysis: Wright has now completed two brief stints with the Cardinals this season and was a healthy inactive for both games while on the roster. The veteran wide receiver hasn't had much luck finding a new team in 2018 after spending last season with Chicago. Wright (coach's decision) is inactive for Sunday's game versus the Chiefs, Darren Urban of the Cardinals' official site reports. Analysis: Wright signed with the team six days prior to this contest, so he wasn't expected to have much of an impact if he did play. The Cardinals will work with four wideouts in a game where they're expected to throw early and often if they're behind against one of the league's best offenses. The Cardinals re-signed Wright on Monday, Darren Urban of the team's official site reports. Analysis: Wright returns to the 53-man roster after he was released by the team Oct. 18 following a two-week stint in Arizona. The veteran wideout will provide some additional depth at the position coming off a bye week, but it's unlikely he'll have a major role in the offensive game plan during Sunday's contest in Kansas City. The Cardinals released Wright on Thursday, Darren Urban of the team's official site reports. Analysis: Wright's stay in the desert lasted just under two weeks, with the veteran wideout serving as a healthy inactive during the Cardinals' lone game of that span. With safety Tre Boston (shoulder) ruled out for Thursday's game against the Broncos, the Cardinals were eager to bolster their depth in the secondary, so cornerback Deatrick Nichols was signed off the practice squad to take Wright's spot on the 53-man roster. The Cardinals signed Wright to a one-year contract Monday, Darren Urban of the team's official site reports. Wright worked out for the Cardinals this week, Kyle Odegard of the team's official website reports. Analysis: Wright's workout didn't net him a contract, but this tidbit at least shows he's still on the radar for receiver-needy teams. He was released by the Vikings at the end of the preseason after losing out to Laquon Treadwell in a battle for the No. 3 receiver gig. Wright was one of several skill-position players that worked out for the Patriots on Wednesday, Mike Reiss of ESPN.com reports. The Vikings released Wright on Saturday, Courtney Cronin of ESPN.com reports. Analysis: With Laquon Treadwell tapping into the talent this preseason that made him a first-round pick in 2016, the Vikings were able to utilize Adam Thielen more in the slot, where Wright almost exclusively operates. 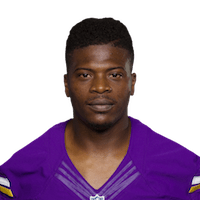 As a result, Wright was expendable as the Vikings are expected to keep only five wide receivers on the initial 53-man roster. Considering Wright's pro experience and pedigree as a first-rounder himself, he should find a willing employer in short order. Wright did not have a reception and was targeted just once in Saturday's preseason loss to Jacksonville. It's possible the Vikings could cut Wright, ESPN 1500 AM Twin Cities reports. Analysis: Wright had just one reception for nine yards in the first preseason game and there's been little buzz about his role in training camp. He would appear to have a shot to win the No. 3 receiver role given his success in the slot last season (80.4 percent catch rate), but there's been little positive news about his job battle with Laquon Treadwell so far. Wright had just one reception for nine yards in Saturday's preseason win at Denver. Analysis: Wright got playing time with the second-team offense and didn't show much despite playing 28 snaps. He entered training camp as the favorite for the third receiver role, but a recent report said he's at risk of being a healthy scratch on game days due to his lack of special teams play. However, the No. 3 WR role looks wide open at this point, as neither Wright nor Laquon Treadwell showed much in Saturday's preseason game. Wright is at risk of being a regular healthy scratch for the Vikings during the upcoming season, Courtney Cronin of ESPN.com reports. Laquon Treadwell took snaps as the third receiver with the first-team offense in Tuesday's OTAs, with Wright working with the second-team offense, the Minneapolis Star Tribune reports. Wright signed with the Vikings on Friday, Courtney Cronin of ESPN.com reports. Wright is visiting the Vikings on Thursday, Ben Goessling of the Star Tribune reports. Wright caught five passes for 29 yards in the Bears 23-10 loss to the Vikings in the 2017 season finale, ending the season with 59 catches for 614 yards and a touchdown in 16 games. Wright caught four passes for 27 yards in Sunday's 20-3 victory over the Browns. 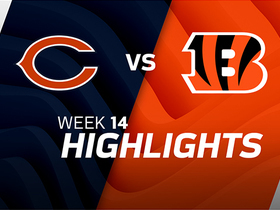 Analysis: The Bears led this game throughout, and Mitch Trubisky threw the ball just 23 times, but Wright led the team in receptions and targets (six). Due to the game script, Trubisky threw very few downfield passes, he Wright was never in line to post significant yardage. After being quiet for a majority of the season, he's posted at least 81 yards in two of his last three games, but he'll have a bad matchup at Minnesota in the season finale. 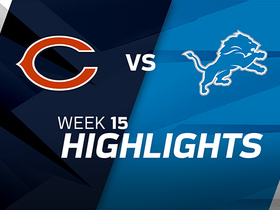 Wright caught seven passes for 81 yards in Saturday's 20-10 loss to the Lions. Analysis: Wright was extremely quiet until the Bears fell behind by 17 points early in the second half. 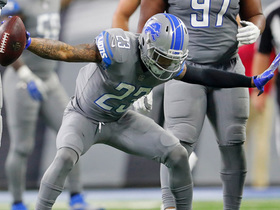 Once the team had to throw on almost every down, he found himself frequently getting open against Detroit's prevent defense, though he caught just slightly more than half of his 13 targets. After posting just 129 yards over a six-game period, he's caught 17 passes for 188 yards over the last two weeks and has quickly become a player who could help teams in the fantasy playoffs. Wright (shoulder) will suit up Saturday in Detroit after practicing in full Thursday, Patrick Finley of the Chicago Sun-Times reports. Analysis: On Tuesday and Wednesday, the Bears capped Wright's practice reps due to a shoulder injury, but his ability to handle everything thrown at him Thursday suggests he'll be his usual self Week 15. With the Lions' 27th-ranked pass defense on tap, he'll aim to post a second 100-yard outing in a row. Wright (shoulder) was listed as limited on the Bears' injury report Tuesday, Patrick Finley of the Chicago Sun-Times reports. Analysis: Since Mitchell Trubisky took the reins of the offense in Week 5, Wright has been consistently targeted, but his catch rate (54.3 percent) and yards per target (6.2) prior to Sunday's 10-reception, 107-yard performance left much to be desired. Assuming his health checks out by week's end, Wright will aim to make sure the outburst wasn't an aberration Saturday against the Lions' 27th-ranked pass defense. Wright caught 10 of 11 targets for 107 yards during Sunday's 33-7 win over Cincinnati. Analysis: After hauling in just six of 11 targets for 65 yards through the past three weeks, Wright's huge day came out of nowhere. 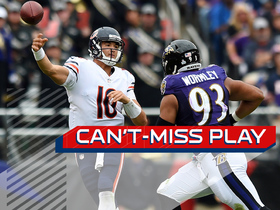 While there is potential that rookie quarterback Mitch Trubisky is turning the corner, it's probably best to keep fantasy expectations in check with Wright. He's still difficult to trust in the majority of settings considering his underwhelming production entering Week 14. Wright brought in both of his targets for 25 yards in Sunday's 15-14 loss to the 49ers. Analysis: In a close contest, Mitchell Trubisky attempted just 15 passes, and no Chicago wide receiver posted more than Wright's 25 yards. Having gone over that mark just once over his last six games, Wright provides very little fantasy upside, especially now that Dontrelle Inman has become the team's primary receiver. Wright caught two passes for 15 yards in Sunday's 31-3 loss to the Eagles. Analysis: Wright was targeted five times but had nothing more than a couple short receptions to show for it. He's failed to top 25 yards four times in his last five games, and he's little more than a desperation lineup option in leagues that award a point per reception. Wright caught two passes for 25 yards in Sunday's 27-24 defeat to the Lions. Analysis: Amazingly, Wright was Chicago's leading wide receiver in this game with his 25-yard effort while the tight ends and running backs were far more involved in the team's game plan. He's posted between 23 and 46 yards in each of his last three games, making him a borderline fantasy option with little upside in leagues that use PPR scoring. Wright caught five passes for 46 yards in Sunday's 23-16 loss to the Packers. Analysis: Wright tied for the team lead with eight targets, but he was unable to turn any of his receptions into more than a 12-yard gain. Although he's been targeted eight times in two-straight contests, he's caught fewer than half of those passes for 69 yards, making him a low-upside fantasy option in PPR leagues. 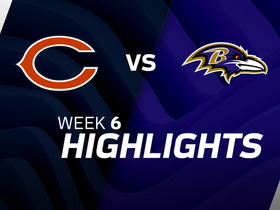 Watch as the Chicago Bears take on the Baltimore Ravens in Week 6. 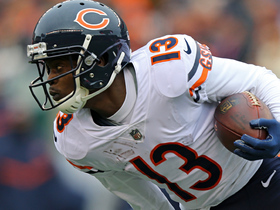 Chicago Bears wide receiver Kendall Wright makes toe-tap grab for a 19-yard gain. 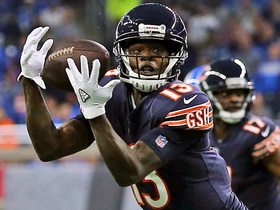 Chicago Bears wide receiver Kendall Wright makes leaping grab for an 18-yard pick up. 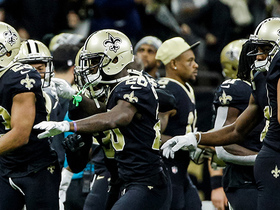 The New Orleans Saints shut down a Chicago Bears pass play on 4th down, forcing an incompletion. Chicago Bears wide receiver Kendall Wright catches a wild throw from quarterback Mitch Trubisky under pressure to convert third-and-11 over the middle. 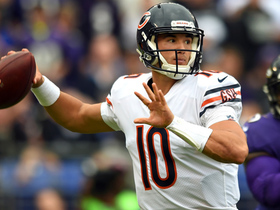 Chicago Bears quarterback Mitch Trubisky finds wide receiver Kendall Wright for an 18-yard advancement. 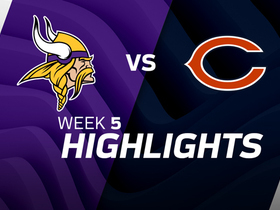 Check out highlights from the Week 5 matchup between the Minnesota Vikings vs. the Chicago Bears.